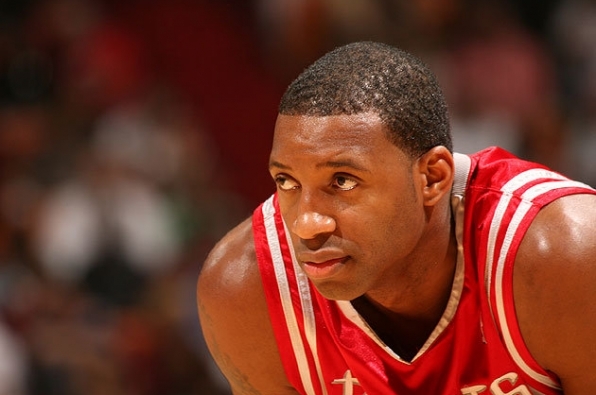 When Tracy McGrady announced his retirement from the NBA in the past week, it didn’t take long for the tributes to pour in from his peers, journalists and legends of the basketball world. McGrady (above) was drafted with the 9th pick in the 1997 NBA Draft, straight out of high school a la Kevin Garnett and Kobe Bryant. He went on to become one of the most explosive and potent scorers the league has ever seen, leading many to believe he will eventually find himself in the Basketball Hall of Fame in Springfield, MA. There was one particular tribute upon McGrady’s retirement that caught my eye though. Oklahoma City Thunder’s Kevin Durant (below) is one of the game’s current superstar’s and at the age of 24 has every chance to go down as one of the all time greats. His respect and admiration for T-Mac is a measure of McGrady’s standing in the game. McGrady is a player who’s greatness is widely recognised, but often attached to what could have been scenarios. What if Grant Hill had been healthy enough to help him out more in Orlando? Or Yao Ming in Houston? For a number of years now, comparisons have been made between McGrady and Durant, and often in a derisory manner. T-Mac’s lack of titles, and furthermore his inability to help a team advance past the first round of the playoffs, before last season in San Antonio, had long made him an easy target for many. The truth is there are a number of startling similarities between the two men, and if T-Mac hadn’t been a part of the Spurs during their playoff run, watching the Thunder would have left him with a sense of deja vu. Following defeat in the Finals in 2012, Kevin Durant’s goal for last season, at least privately, must have been Championship or bust. Despite trading away James Harden, the Thunder entered the 2013 Playoffs as the No.1 seed in the West with every chance of a return trip to the Finals. The dream began to unravel on the 24th of April though, during Game 2 of the Thunder’s first round clash with the Houston Rockets. Durant’s fellow All-Star and chief partner in crime, Russell Westbrook went down with a knee injury, and was subsequently ruled out for the remainder of the season. Durant’s performances from this point onward were incredible. It can’t have been easy for KD to have to compete against Harden’s Rockets. This was the man that his side had only used as a Sixth Man, but who was now a legitimate starter and superstar in another city on another team. Forced to shoulder the load left from the missing Westbrook, Durant upped his game all around. He took more shots, grabbed more boards and became OKC’s primary ball-handler. Durant’s playoff averages were 30.8 PPG, 9.0 RPG and 6.3 APG, making him a genuine triple-double threat on a nightly basis. These averages were up from 28.1 PPG, 7.9 RPG, 4.6 APG during the regular season. The Thunder advanced past the Rockets in 6 games, but the Grizzlies in the Second Round were to be one step too far. Memphis are the prime example of an excellent team, rather than a star and a supporting cast. Without Westbrook, Durant found himself surrounded by what is for the most part a distinctly average group of players. Much like McGrady had experienced with Hill injured in Orlando, Durant was left trying to elevate his teammates to a level that was beyond them. Although the comparisons between the two players had been made before, this was the first time Durant’s career trajectory had taken such an eerie turn reminiscent of T-Mac. Having to carry and attempt to propel teams to victory alone is the real story of McGrady’s career, and it’s the part that before now Durant hadn’t truly experienced. Having gone down that road once though, it is now more interesting than ever to look at the differences and similarities between the two men. Before comparing the numbers, let’s make a couple of important qualifications. 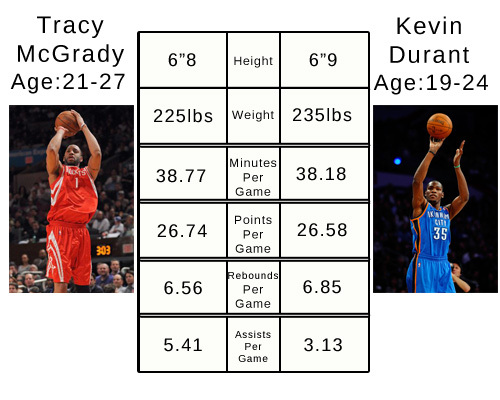 Firstly, McGrady is listed at 6″8 and 225lbs, while Durant is listed at 6″9 and 235lbs. Although this shows that the two have very similar body types, the small difference between the two is significant. Both players probably best fit the build of playing the 3 spot, otherwise known as the small forward position. McGrady being smaller in size played a lot of his career at the 2 or shooting guard spot, while Durant occasionally fills in as an undersized power forward at the 4 spot. Secondly, McGrady entered the league at the age of 18 straight out of high school, while Durant was drafted by the Seattle Supersonics aged 19 after a year at the University of Texas. This is significant as Durant entered the league much more prepared for the rigours of professional basketball, and immediately ready for considerable minutes. While in contrast, it took Tracy McGrady the guts of 3 seasons before he built his minutes up to what would become typical for the remainder of his career. With this in mind it’s only fair to compare the two players across a similar sample size. McGrady’s stats come from the 00/01 season through to the end of the 06/07 season, while Durant’s account for his entire career in the league to date. The similarities in the stats are remarkable. The only stat with clear daylight between the two is the assist tally, and this can be attributed to McGrady’s time spent playing as a guard. Even ignoring this fact though, Durant’s assist totals are continuing to improve. Last season he averaged a career high 4.6 per game, indicating that this gap between the two is likely to close over the coming years. What should be most interesting for Durant though is that after the age of 27, McGrady began to rapidly decline. All the years of logging heavy minutes and carrying teammates began to catch up, and suddenly, T-Mac was the one suffering the injuries. Although Durant had the benefit of not playing with the pro’s immediately after finishing high school, he has logged more minutes than McGrady at comparative ages. 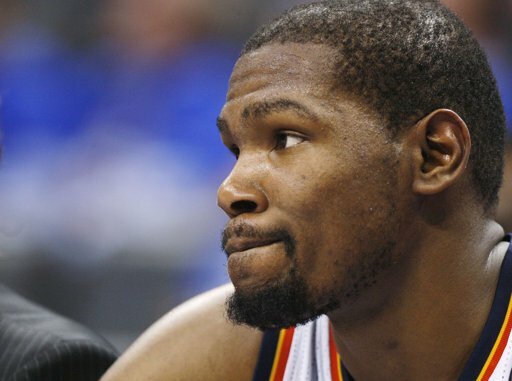 Does this mean that Durant’s body could begin to show the strain of his early career within 3-4 years? Not necessarily, but if KD doesnt already know it, he shouldn’t take his body and abilities for granted. If Durant’s body was to falter before he finds a championship ring on his finger, him and T-Mac would likely be linked forever, as two of the greatest players never to win a title. The question for Durant though is, is there anything wrong with being like Tracy McGrady? I’m sure Durant wouldn’t think so, but just like McGrady, he’s a winner by nature. He’ll give it his all to win a title, and if he ever does, don’t be surprised if he gives a mention to one of his heroes. The one and only T-Mac. If you want to see what’s so special about Durant and McGrady, take a look at the videos below. Pretty solid article. I liked how you made a different comparison as composed to my article. They do have similar games, let’s just hope Durant turns out better. Well look as I said in my article, I really don’t think there’s anything wrong with being like McGrady, he truly is great. You’d just hope Durant gets a bit more luck along the way. Interesting read! I hadn’t thought about the KD/T-Mac comparison in terms of the playoffs so that’s a great point you brought up about this past season with the Thunder’s bad luck. Hopefully Durant’s career doesn’t have the same bad luck in terms of healthy teammates that McGrady had! Yeah that was the thing that was so apparent to me during the Thunder’s run last year. He played about as good all around as he ever has, but he badly needed help. Let’s hope for a healthy Westbrook this year so they can go head to head with the Heat! Exactly. McGrady was unfairly given this reputation, that he was a choker, even though he was really just head and shoulders above his teammates. If Westbrook was to go down again, Durant would hear the same. Let’s not forget that that was part of the reason LeBron left Cleveland. He was taking the flak for losses, when in truth his teammates weren’t good enough. It just seems to be the way people think. Superstars are wrongly expected to be able to win titles alone. Very well structured article, completely agree with your comparisons. I think Durant will have a better legacy! You’re probably right. Yet I suppose that will all depend on the rings!